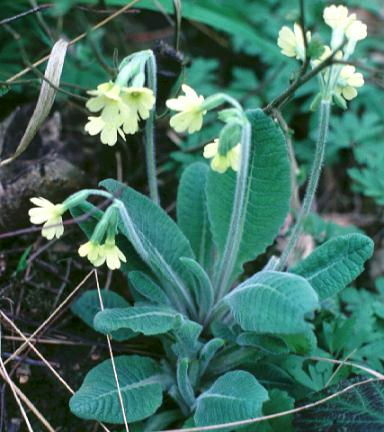 Flowers with 5 petals and undivided leaves, including oxlip and cowslip as well as the primrose itself. Crosses between the primrose and cowslip, known as 'false oxlips', are ancestors of the polyanthus widely planted in gardens. The delicate water violet is an aquatic relative occasionally found in ponds and ditches.